What is Hiking Tracker ? Hiking Tracker is a device to sense the change in surrounding environment of a hiker during hiking. The idea is to observe the change in temperature, pressure, humidity, altitude, location, direction etc. It gives some interesting insight of hiking. On the mountains where it is cold, dry, low density air compared to lower lands, many people find it hard to breath. Some experience dry skin irritation. This device lets people interested in hiking to know their limits. There is also the fun of going to high altitude places. Being able to know the altitude is a fun thing ! Not only the mountains but also exploring swamps, deserts, forests - with each has its unique environmental profile, being able to monitor the environment on the go is a better way to understand the nature. Step 1 : Hardware, which for what ? 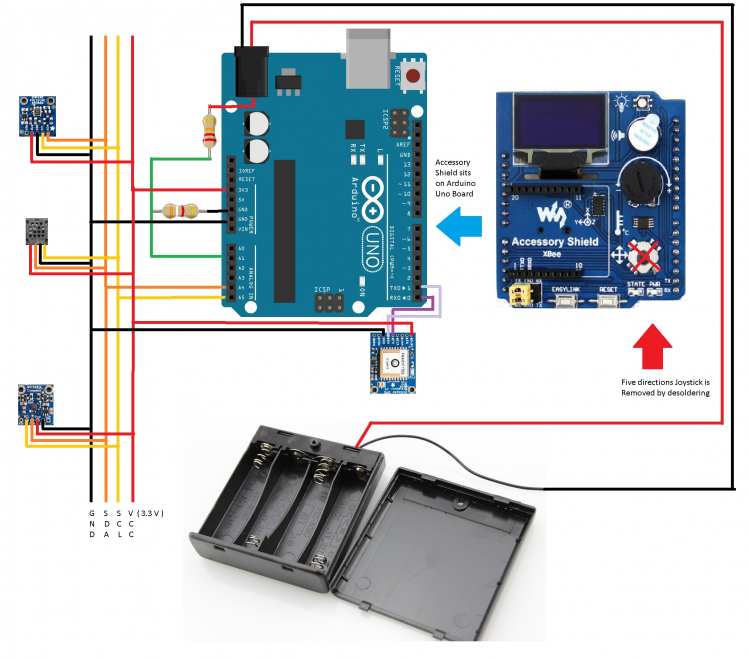 XBee interface is not used but Arduino D2, D3, D9, D10 can be brought out from this interface for other projects, D2 is connected to reset, which allows resetting the Arduino from code ! 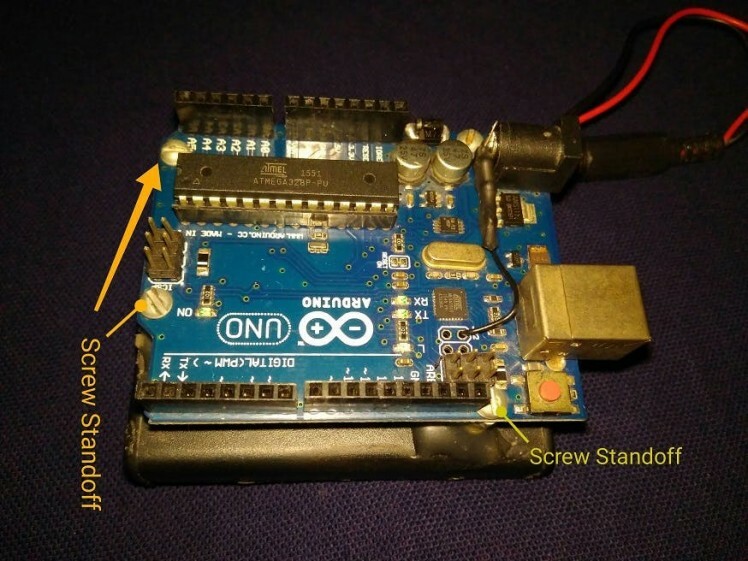 Few modifications are made on the Arduino Uno. It is mounted on a 4 AA Battery holder with screw standoffs and hot glue. 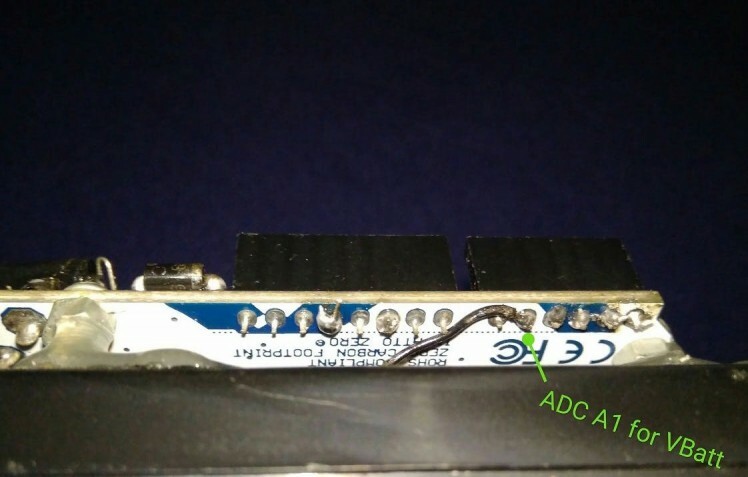 4 AA and CR1220 (for RTC) are installed on battery holders. 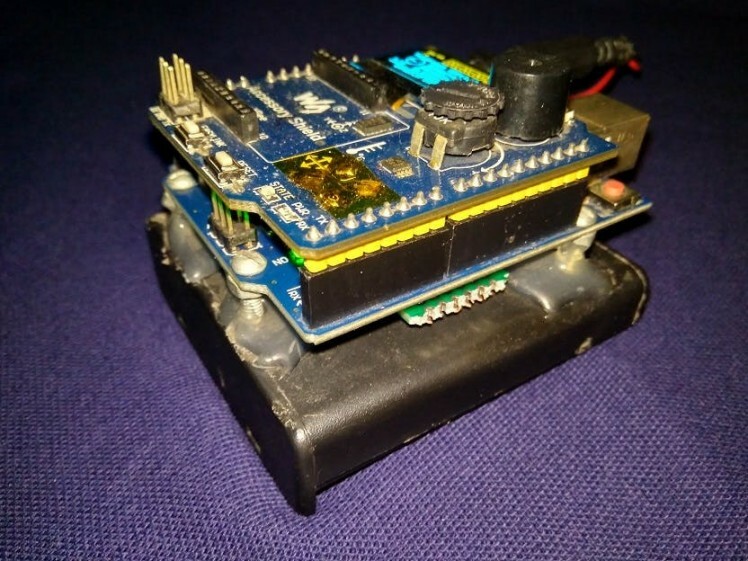 There is a space between the battery holder and Arduino Uno board where the pressure, humidity, magnetic and GPS sensor can be placed. 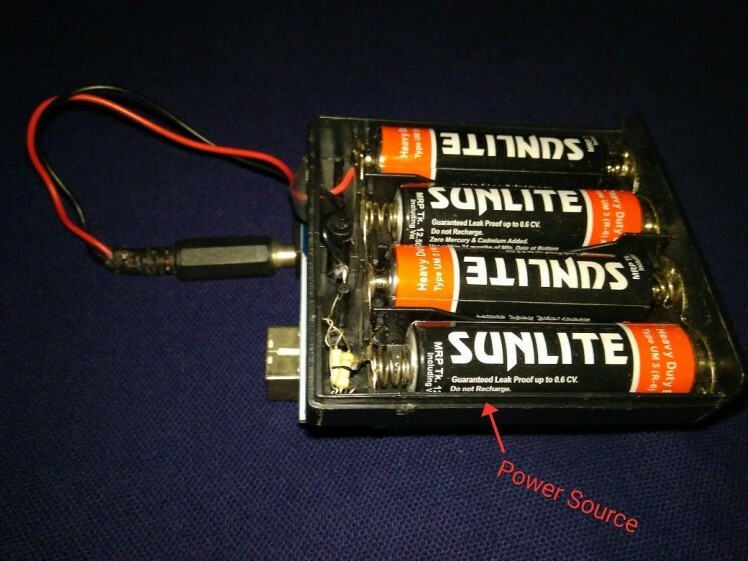 A voltage divider is added to measure battery voltage of 4 AA batteries. 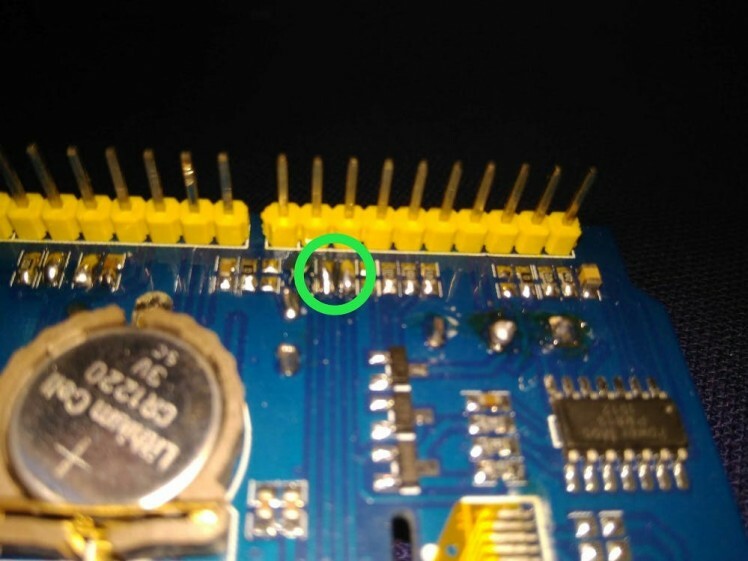 The joystick of the shield is mapped to the ACD pin A1 through pin A5. 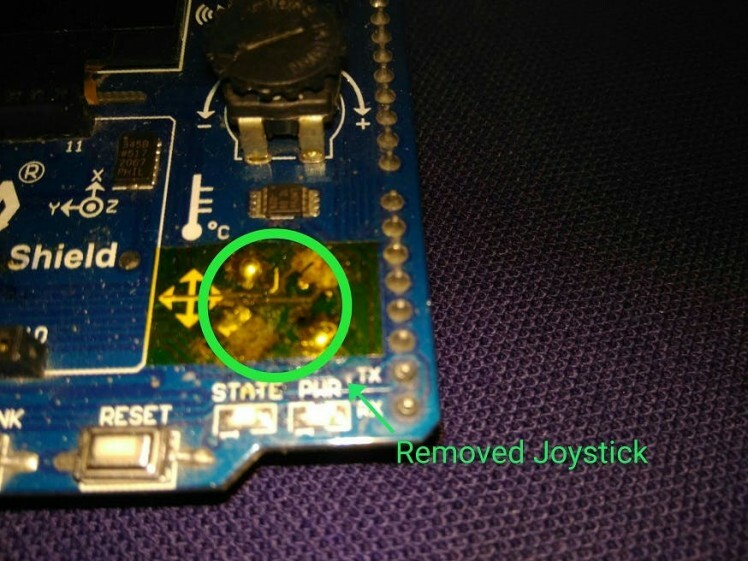 That is why the joy stick is desoldered and removed. 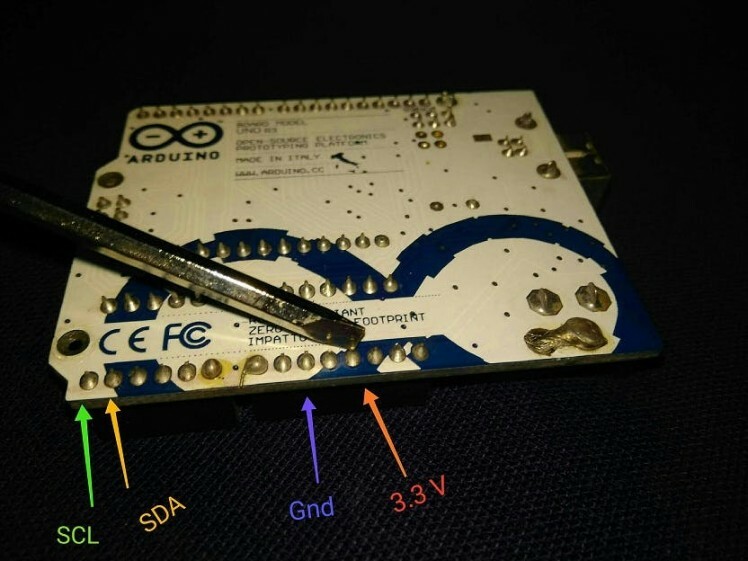 By connecting some pad on the Accessory Shield (for schematic see reference) with solder bridge D2 (for soft reset), D3, D9, D10 pins of Arduino are made available on Xbee interface. Putting it all together ! 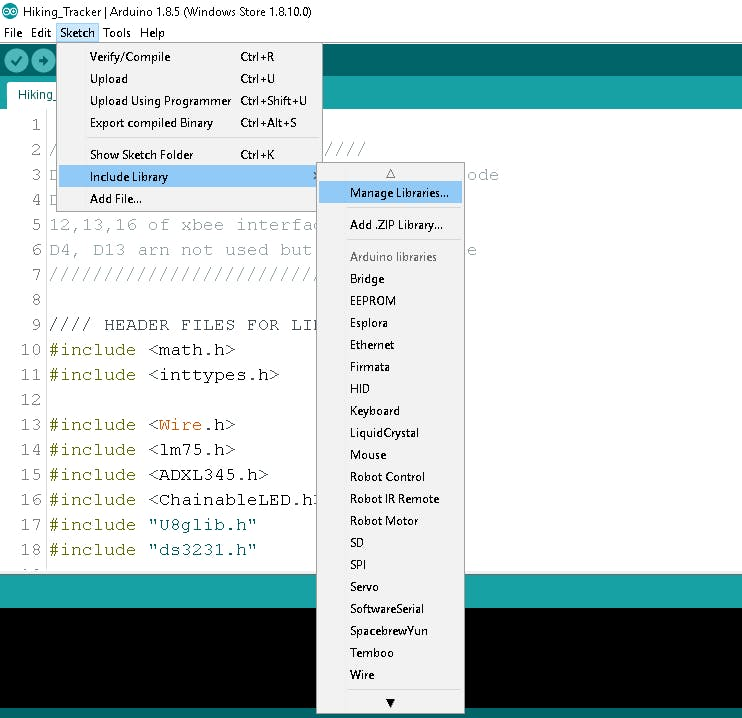 Arduino IDEBuild 1.8.5 is used to program the device. First all the following libraries are included or downloaded using the library manager. By typing the name of the sensor on the search box of library manager, appropriate libraries will appear. 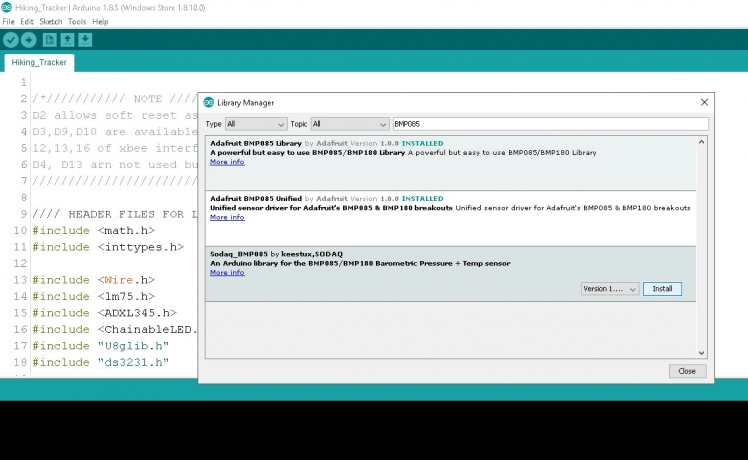 After adding necessary libraries, example codes for each sensor is reviewed to find out the APIs for associated sensors. 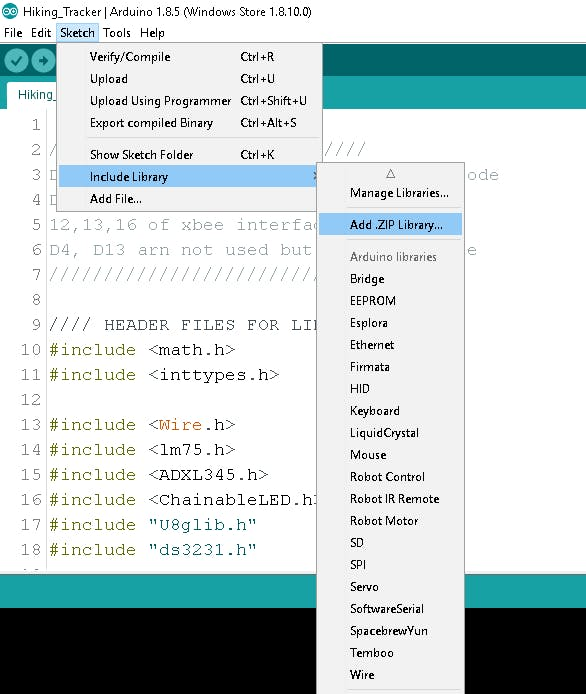 Next, all the library headers are included in one empty Arduino sketch. After multiple edit, compile and debug ( including loose connection, where I discovered the BMP180 works without Vcc due to leakage power for I2C pins maybe ) and upload - finally the code was ready. 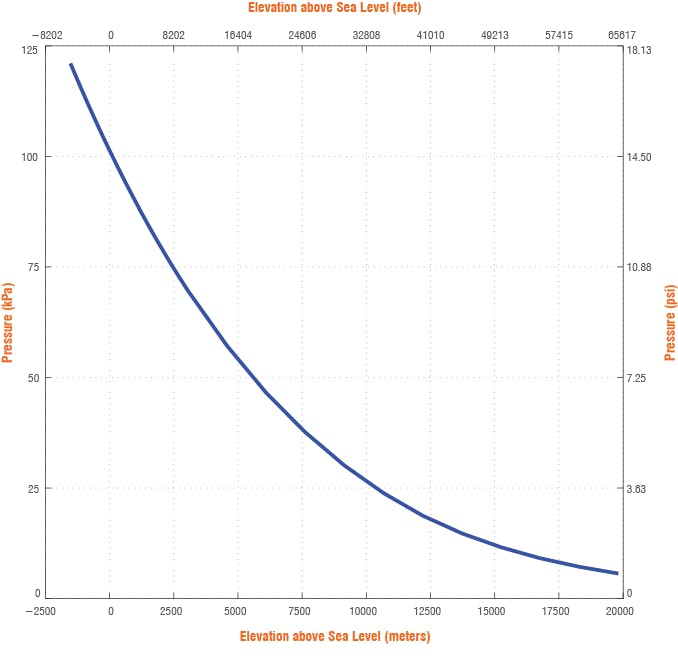 Altitude calculation is based on Air Pressure Drop, applicable only during normal weather condition. Compass code is not tilt compensated in software, device must be held in a level plane. There is a fixed compass circle, in which there is another variable radius circle. When the device is tilted, the inner circle will increase. When it is in a leveled position ( i.e. both x and y component of acceleromere is almost 0 ) the inner circle will reduce to a point. This is when the compass heading is more accurate. Compass pointer declination angle depends on location and variation of Earth's magnetic field. Which may get affected by Solar storm. If declination angle is not included, compass heading will be off by few degrees. Compass heading is prone to nearby magnetic objects, like presence of strong magnetic minerals on mountains. 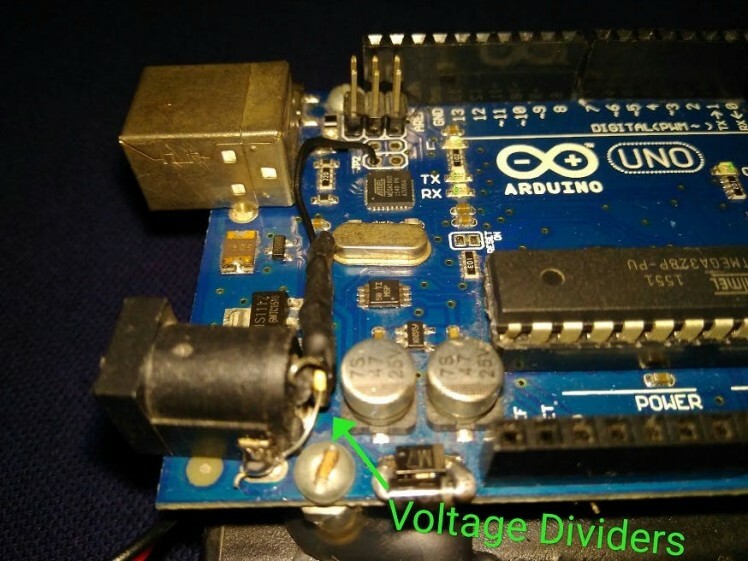 Device minimum operating voltage is about 4.5 volts. This is when AA batteries should be replaced. Time and Date is programmed from code, If time is needed to change the coin cell battery must be unplugged and plugged. A fresh program upload with new time in the code will change the time. 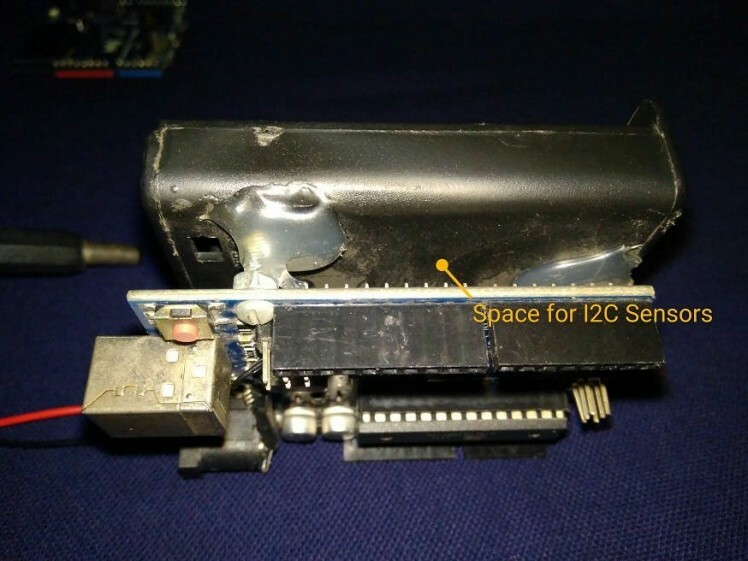 During development GPS module was not available. Hence, demo coordinates are placed in Lat-Long. If someone wishes to replicate this project, it is required to include GPS library and associated codes. 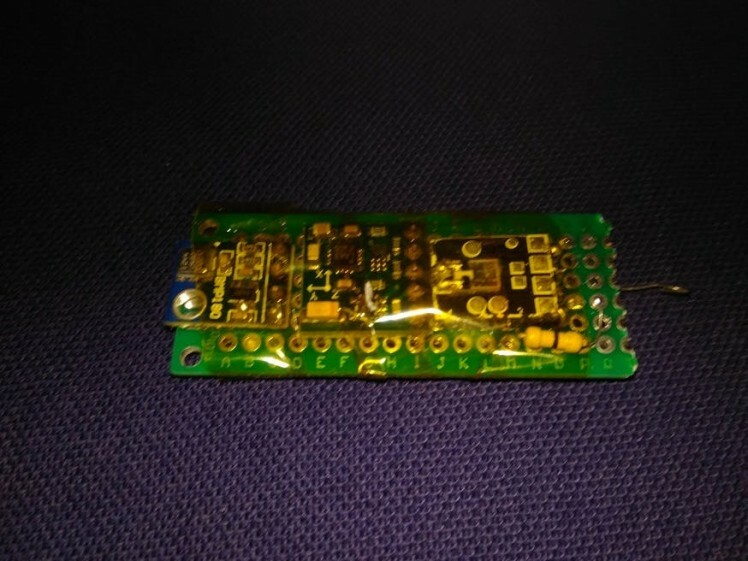 XY plane of Accelerometer and Magnetometer are subject to placement on PCB. Code is required to be adjustment accordingly. Accelerometer reading accuracy is prone to vibration. It is advised to use the device on stand still condition. User input switches for setting time, declination etc. Traveling & Hiking is cool, when you can check the change in surrounding environment, it makes things more interesting. Specially, checking the altitude, humidity, pressure and temperature changes within hours while hiking. 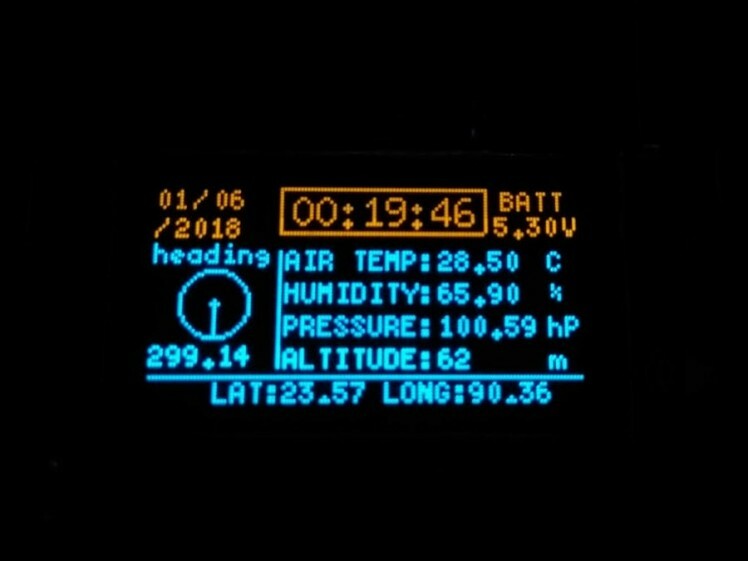 This device lets you know at what height you feel altitude sickness, what humidity level makes your skin dry - stuffs like that. Although there is room for improvement in both circuit layout and code to deal with the caveats, it's still cool to have a gadget like this while going into the wilderness!